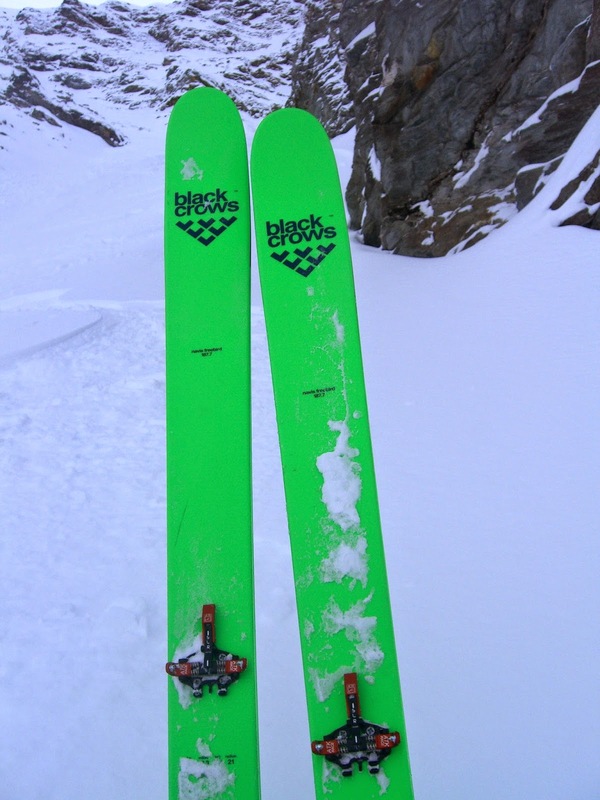 This season I've been skiing the Black Crows Nevis Freebird as my ski touring ski. I am skiing the 187.7cm length with either Dynafit TLT6 Performance boots, or the older TLT5 Performance boot also from Dynafit. 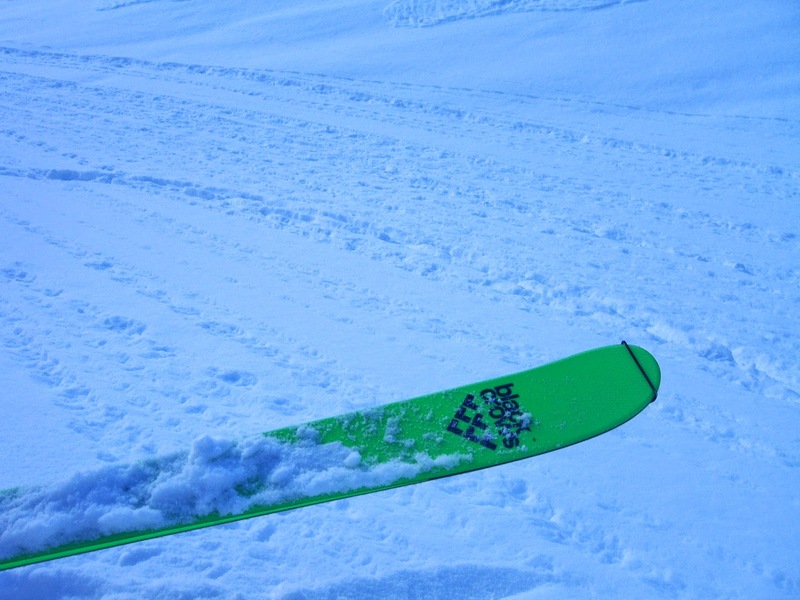 The ski is 187.7cm long with a 21 meter radius. Tip - waist - tail dimensions are 134-103-121. The weight is 3900 grams, according the Black Crows. The ski is designed as the touring version of the Navis. There are some material differences and construction adaptations to make the Navis Freebird a bit lighter and therefore more touring friendly. Note, that there are also construction differences between the various lengths of the Navis Freebird which manifest itself as pretty striking weight differences, more than the additional centimetres, between the various ski lengths. I mounted ATK (http://www.atkrace.it/product/sl-r-world-cup-117-gr/?lang=en) super-light weight race bindings on the skis. This places the boot very close to the top of the ski and there is very little ramp angle between the heel and toe piece of the binding. This set-up makes the ski most suitable to skiing powder and soft snow, which is what I'm looking for when I'm skiing in the backcountry. 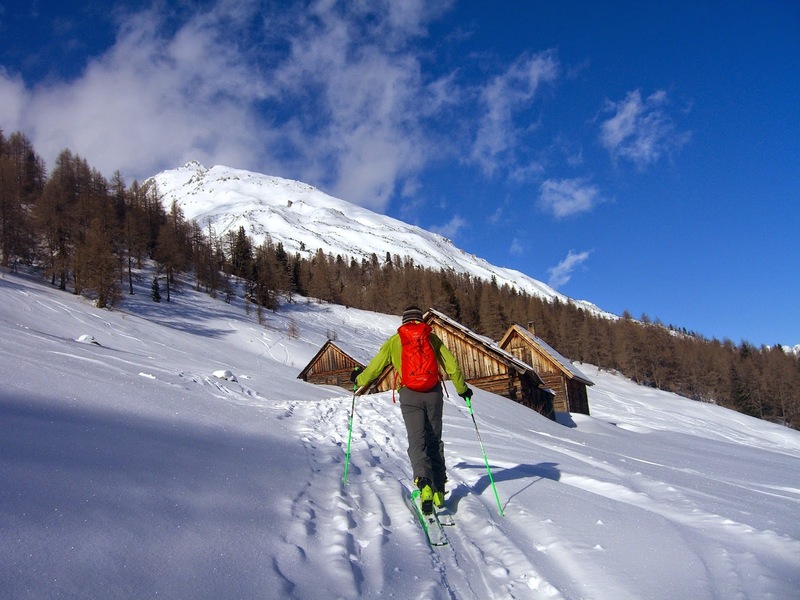 For backcountry, self-powered skiing I want a ski that I can do everything from short half-day tours to week-long, or longer, traverses. Additionally, i am normally doing some type of ski mountaineering endeavour, so I am often carrying the skis on my pack. My criteria for the selection of the ski was: waist around 100mm, not too much sidecut and therefore a radius of around 20 meters, wood core, laminated construction with a re-inforcing top sheet, not too much rocker - if any at all, and length at around 180-185cm. Other skis i considered were the La Sportive High5, Daystar Cham High Mountain / Cham 117, Line Sir Francis Bacon and Dynafit Grand Teton. In the first few days of March, the Salzburg area got two decent storms with 30-40cm of new snow up high with each cycle. I really fell in love with skis as I could ski a number of days in a row on them. I developed the sense of playing around with the skis sweet spot. I found that I could ski all size and types of turns in a playful and powerful way. I was on terrain that included tight trees, wide-open slopes, narrow trails, forest roads, etc., really all types of terrain. The snow conditions ranged from light, deep powder to hard-packed, skied-out trails and roads. The ski is very stable and damp, sucking up changes in snow constancy. They power trough variable snow very well. The skis are stiff and have excellent edge hold. I believe that you have to stay forward on the ski and they respond immediately to rider input. They are certainly skis that need to be actively controlled. In the past years, I have skied Line Prophets at 186cm, White Dot Preachers at 189cm for lift-serviced free riding and some shorter ski tours. For more traditional ski touring and ski mountaineering, I have been on Dynafit Stokes and Dynastar Mystic Riders that were around 175cm. I ski lift-serviced stuff with Lange Free Ride boots with a 130 flex rating and Dynastar Vulcans (120 flex?). For all ski touring, I am on the TLT6 Performance - which for me is a fantastic fit and performance combination. If I plan on combing alpine ice & mixed climbing with a ski approach, I'll switch over to the striped down TLT5 Performance boot which climbs ice, snow and rock better. The Black Crows are what I label as a "Chamonix ski": stiff. traditional chamber with a small amount of rocker, a bit heavy and very well built and sturdy. They ski and feel like a number of Dynastar skis. Also a bit like Völkl's older Mantra or Gotoma, with a little more heft and mass. I have surprised by the Black Crows nimbleness. 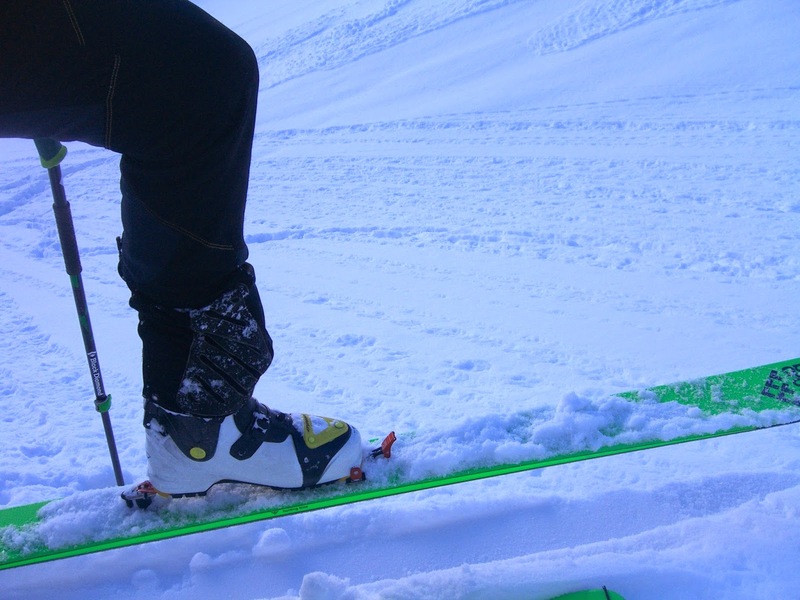 The skis are really quick in tight terrain for their length. At first, I was a bit too tentative on the ski. Once I found the skis sweet spot and was a little more aggressive, everything clicked. The ski is really inspiring for me to ski. It is certainly a ski that won't hold me back or leave me waiting in any way. Hello there ! Did you mount yours on the recommended line ? Or did you mount them 1cm or 2cm back ?